30 going on 60 | Stand Up and Speak Out! Fred and I both graduated from Butler University. Some of you may remember that around this time last year, they were playing in the national championship game. We had a fun, though nerve-racking, time watching our alma-mater go from Sweet Sixteen, to the Elite Eight, and then coming home to Indianapolis for the Final Four. 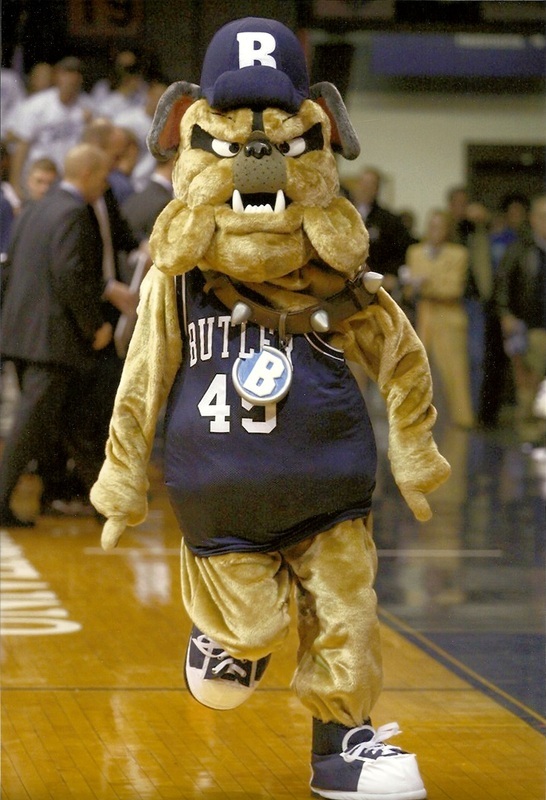 There were times watching those games that I spent in the fetal position, partially covering my eyes out of fear of Butler losing. Most of the time, Fred and I watched the games at bars in town (hopefully I didn’t embarrass him too much), except one weekend at my cousins’ house and the championship game at Fred’s parents’ house. Now, Fred’s dad loves watching sports, but only if it’s a nail-biter of a game. He wants it to come down to the last second, if possible. If one team is too far in the lead, he’ll go off to bed. So, he was very delighted during the final game against Duke because it was so neck-and-neck. Even though Fred and I were about to have simultaneous heart attacks, he had a grand ol’ time. Butler lost and Fred and I were heartbroken. Fred’s dad was happy with such an exciting game. The year before, when the Colts played in the Super Bowl, we also watched it with Fred’s parents and the Colts lost. Between that and the Butler game last year, I am convinced never to watch another sports game with his father (unless I don’t care about the outcome). Yesterday’s game against Old Dominion was a nail bitter, literally an at-the-buzzer win for Butler. Fred and I felt years taken off our lives after watching it. I’m sure tomorrow’s game against Pittsburgh will do the same. Last year was an awesome ride and here’s hoping to another one this year (with a win in the end this time).